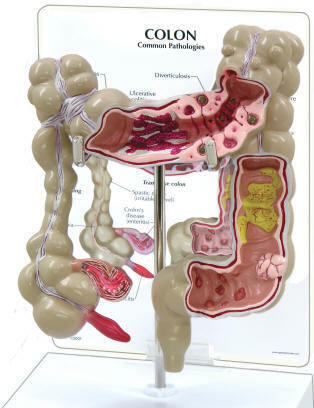 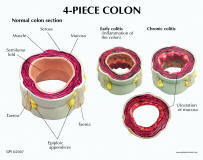 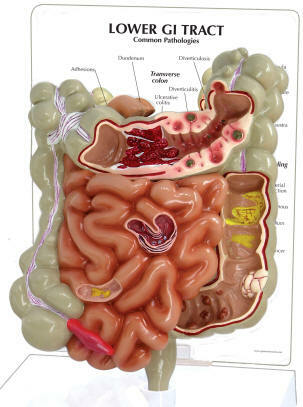 Cut-away view model with the following common pathologies: adhesions, appendicitis, bacterial infection, cancer, Crohn’s disease, diverticulitis, diverticulosis, polyps, spastic colon, and ulcerative colitis. 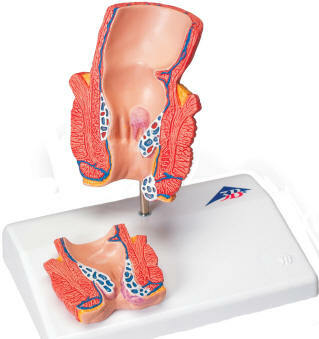 Comes with stand and patient information card. 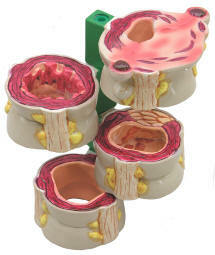 Complete unit includes six full size prostates. 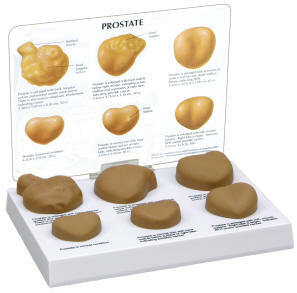 Conditions shown include: normal prostate; normal size prostate with hard nodule below right lobe surface; prostate with enlarged right lobe; enlarged prostate, symmetrical surface, slight median furrow; enlarged prostate, hard nodule below right base surface; enlarged prostate with hard irregular surface and seminal vesicle involvement. 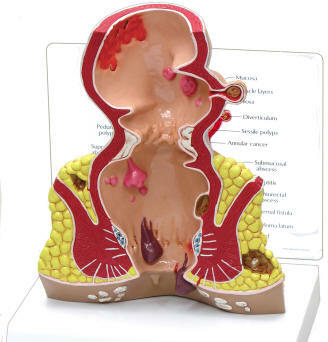 Comes with patient information card and base.